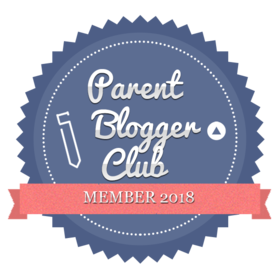 Thank you so much to Rachel for nominating me for The Liebster 2017Award, as a newbie blogger it means so much to have the opportunity to take part. Rachel and I started blogging at a similar time and she was a massive help to me when I set up my site. I love reading her content, it’s always fun and engaging and I actively seek out her new blog posts so make sure you check it out!! 1.If you could travel anywhere, where would you go and why? I have always wanted to go to New York for as long as I can remember! There isn’t really a specific reason why, but I would love to visit all of the tourist hot spots like The Statue of Liberty and Central Park. I would also love to visit some movie locations in the city too! 2. What’s your favourite animal, and dream pet? My favourite animal is definitely cats. I had cats for years when I was younger and lived away from home I just love how affectionate and friendly they are- I miss snuggling on the sofa with them. I would love to have cats again, but with a house full of kids we just don’t have the room at the moment. 3. If you could have any superpower, what would you have? I would love to have the power of mind reading as it would come in really handy with my teens as you never know what’s going on in there! 4. What is your worst fear? I don’t like spiders or in fact any creepy crawly things and hubby is always called upon to remove them when they make their way in the House! I’m not really a massive fan of birds either- especially when they fly towards your head- I think I have had a bad experience in the past that I have blocked from my memory! 5. Favourite blog post? Include a link so I can read (if I haven’t already)! We have a Guinea Pig called Rhino. Sadly his brother Twitch passed away a couple of months ago but he seems to have adjusted after a period of mourning bless him. 7. Do you judge a book by its cover? Or a person? I don’t believe in judging anyone or anything by their exterior appearance as it gives no indication of what is inside, which can only truly be exposed by delving beneath the surface. 8. What is your favourite tv show? I love gameshows and reality TV- nice easy watching! My favourites are probably The Chase and Teen Mom. Comedy shows are also a favourite, depends on my mood and how long I actually get to watch something! 9. What is something that people are obsessed with but you just don’t get the point of? People rave about the series The Big Bang Theory and I’m sorry to say I just don’t get it or find it even remotely funny. Perhaps I need to give it another go? Not just because it’s a festive time of year that I’m writing this but two of my favourite foods are stuffing and Brussel sprouts! I would happily eat them everyday for every meal but I’m sure my family might not be so happy! I have always been passionate about writing however having kids I kind of lost sight of my writing. I was lucky enough to be offered the opportunity to write for The Socialite UK in August this year which gave me the confidence to start my own blog, something I had been contemplating for years. I love blogging, I see it as my time. 1. I am an only child but have three step brothers, one half brother, two step sisters and two half sisters…..! 2. I met Mr F at school ages 14 and when we had a short lived high school romance. We went on and had our own lives and relationships and ended up getting back together aged 26. We have now been together 10yrs and married 7! 3. I have a gap in my bottom teeth where two were meant to grow but never did – it’s very handy for holding your straw when drinking! 4. I have a J shaped scar on my hand from when I fell over swinging on our front door with a glass milk bottle in my hand as a child. 5. My youngest sister and me share the same birthday twelve years apart. 6. I named my daughter after a character from one of my favourite films. 7. I have had four different surnames. 8. I had a tongue tie when I was born which I had lasered when I was 13yrs old. 9. I’m not a strong swimmer – I hate not being able to touch the bottom and freak out! 10. I loved giving birth- I really genuinely enjoyed all three of my birth experiences and would happily do it again. 11. I slipped a number of discs in my back when I was pregnant with my youngest and couldn’t walk for months- this sadly means number 10 wouldn’t be an option. Once you’ve made your post, please let me know! 1. What’s your biggest achievement to date? 2. What’s your idea of the perfect day? 3. If you could invite one celeb (dead or alive) to a dinner [party who would it be and why? 5. What has been your most extravagant purchase? 9. What would be your dream holiday destination and why? 10. What has been your highlight of 2017 so far? 11. Main course or dessert? Thanks for reading I look forward to reading everyone ‘s blogs! I really enjoyed reading this! Great post! I was a little saddened about learning you didn’t like Big Bang Theory. I find it charming and hilarious! Then again I love nerdy guys! But I also HATE spiders and they creep me out! I didn’t like Love Actually at first either! I thought it was corny but it did eventually grow on me so I understand lol!